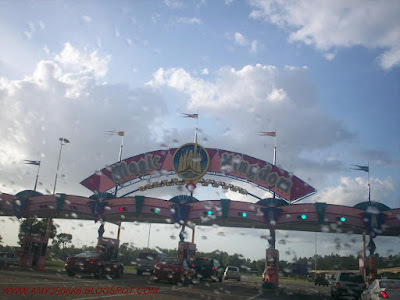 The famous entrance of Walt Disney World in Orlando, Florida. Just want to share to you guys these pictures that I took during my visit. 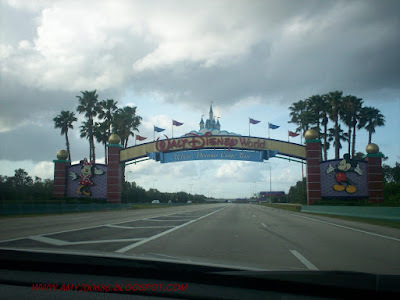 This is the entrance of magic kingdom, one of the 4 parks of Walt Disney World. You have to show your driver's license and your pass to get in. They will collect your fee for the parking lot and it costs $12.00. We just showed our driver's license because we had a pass for free parking. 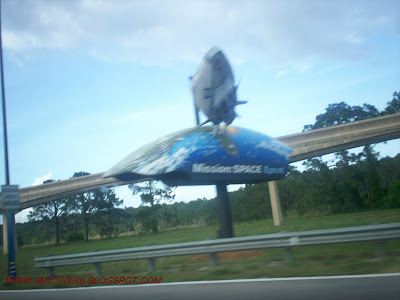 Just a blurry ad along the way of Disney....this is one of their famous rides which i did not dare to take....hehehe... Mission Space. 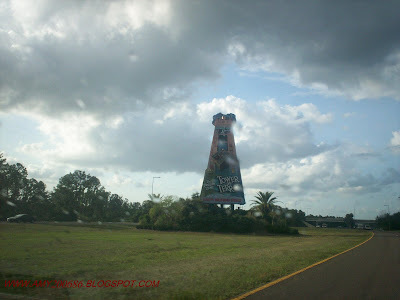 The famous Tower of Terror. You will ride from the top of the huge building inside Disney park and drop down....you will shout all your might as you can. Adrenalin rush....im not fond of those rides. 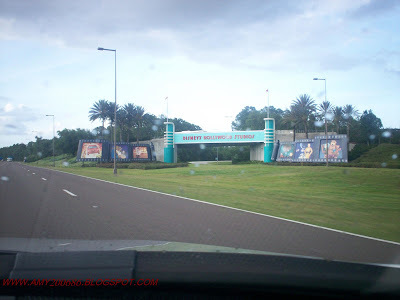 This is Hollywood Studio where in you can tour some of Disney's cinema magic and watch some live stage show from the movies like Indiana Jones, Honey I shrunk the kids and so many more.